At the beginning of the 20th century, Afghanistan still used a taxation system similar to the old Durrani Empire. Local provinces and villages could remit taxes to the royal treasury either in money, or, in self-armed men for the king’s army. As the latter was obviously financially preferable, this led to a strong militarization of local Afghan life, a problem which would come to roost at the end of the century. 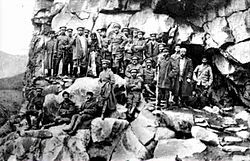 Despite coaxing by both Germany and Britain, Afghanistan remained neutral during WWI. 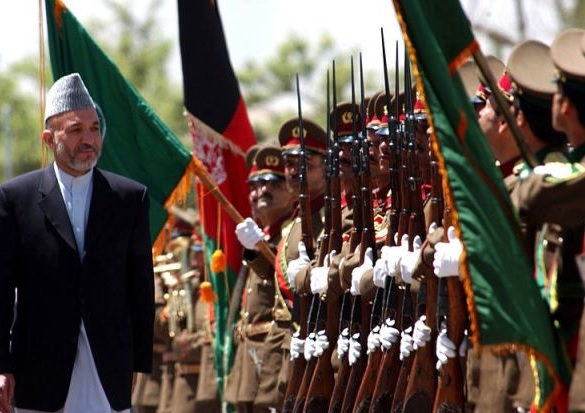 Afterwards, Afghanistan began the process of standardization for the army’s weaponry. In the early 1920s, a large number of P-14 rifles were purchased from Great Britain. The bolt-action Enfield P-14 was a standard British battle rifle at the start of WWI. It fired the .303 British cartridge from a five-round internal charger-loaded magazine. It weighed 9 ½ lbs. In the hands of a good marksman (which many Afghans were, and still are), the P-14 could fire accurately out to about 800 yards. 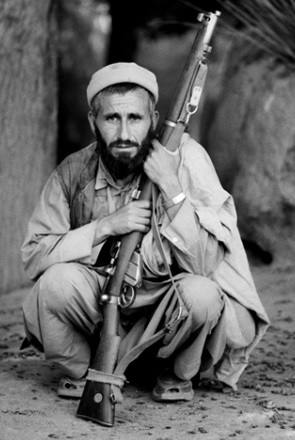 The P-14 remained Afghanistan’s standard-issue rifle for about two decades, and some were still in inventory in the 1950s. Along with the P-14s, Afghanistan bought from Great Britain some Martini-Henry Mk2 carbines. Presumably, these were the type chambered .303 British for commonality with the P-14s. The Martini-Henry Mk2 was already obsolete when it entered service, but was probably bought at quite a bargain as the British had no further use for them after WWI. Photos show variation between one Martini to another, mainly in the two types of compatible cleaning rod and alterations to the wood furniture. Like the P-14, the Martinis remained in Afghan military use as late as the 1940s, with some being transferred to police thereafter, or being “benefacted” to rural tribal leaders by the national government. These antiques appeared off and on in the hands of mujahideen fighting the Soviets in the 1980s. During the 2000s American involvement in Afghanistan, three of these guns were captured from Taliban fighters – however it’s not clear if they were from the original Afghan stock or “Khyber Pass guns” (local copies). 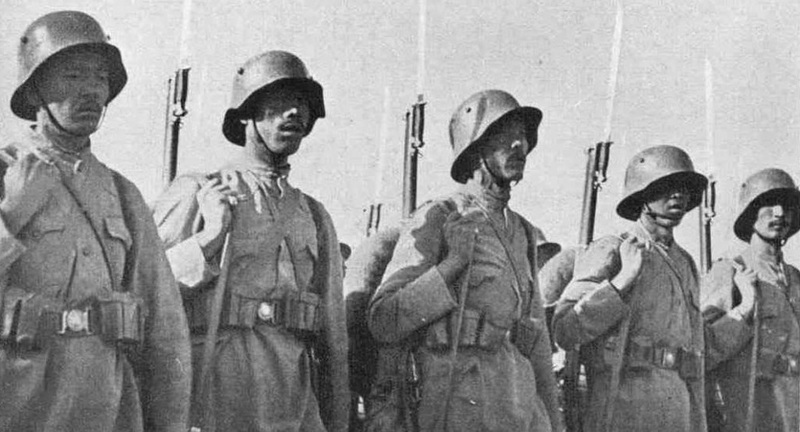 All sides (the USSR, Germany, Great Britain, and even Japan) tried to woo Afghanistan during WWII but again, the country remained strictly neutral. 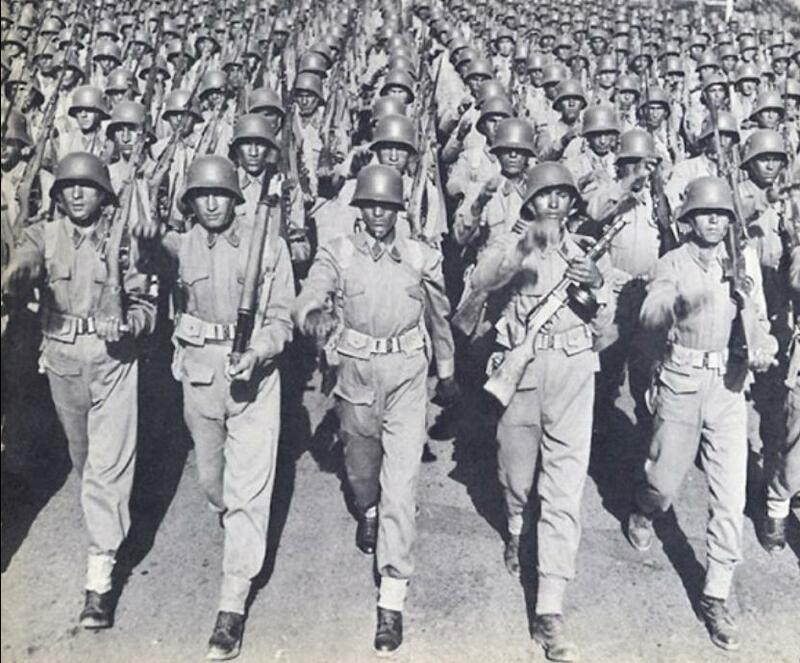 In the mid-1940s, a large number of now-surplus Lee-Enfield rifles, in various models, were purchased from post-WWII Great Britain to replace the P-14 as Afghanistan’s main infantry weapon. While the Enfield Model 4 Mk.I was used, much more common was the SMLE series, which were imported in greater numbers, along with bayonets. Like the Model 4 Mk.I, the SMLE fired the .303 British cartridge. The SMLE used a ten-round magazine, and was relatively accurate out to about 900 yards. The WWII-veteran SMLE became the standard Royal Afghan Army rifle in the mid-1940s, and retained this position into the 1950s. Thereafter it was still in widespread use, and was still seen with second-line and local militia units into the 1970s. The Enfields eventually worked their way down into local reserve armories and private ownership. When the Soviets invaded in 1979, these WWII-era guns were quickly seized by the mujahideen and became a mainstay of the 1979-1988 war. Even when captured AK-47s became available, the Enfields remained popular due to their accuracy, and the .303 British’s ability to outperform the 7.62mm(R) cartridge against body armor. Both the Model 4 Mk.I and the SMLE remained in use throughout the war, then in the 1990s civil war and fighting against the Taliban (which also used some themselves). 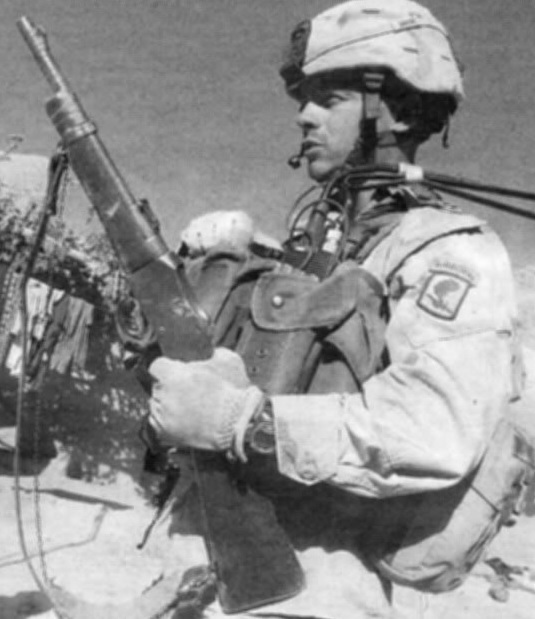 During and after the 2001 American invasion, SMLEs were still occasionally encountered in battle. The WWII-veteran Soviet Mosin-Nagant was the replacement for the Enfields as Afghanistan’s main battle rifle. The Mosins were purchased in the late 1950s, partially with a $3.5 million ($30.6 million in 2015 dollars) USSR arms export credit. The bolt-action Mosin-Nagant M91/30 was, and still is, a fairly legendary firearm. It was the standard rifle of the Soviet army during WWII and has seen use worldwide since the war ended in 1945. It fires the 7.62mm(R) cartridge from a fixed five-round magazine. It weighs 9 lbs and is relatively accurate to 550 yards, although a good marksman can almost double that with a well-kept Mosin. 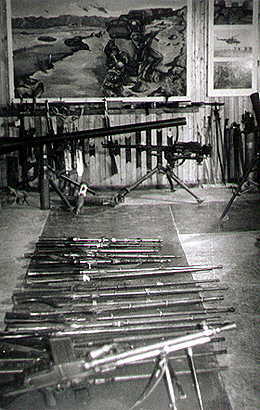 The Mosin-Nagant M91/30 rifle, along with several variations (scoped sniper rifle, short-barrelled carbine) remained in Royal Afghan Army use well into the 1970s. This WWII hero was the final bolt-action rifle used by the Afghans; it’s replacement being the AK-47 assault rifle. Significant numbers of Mosins were still in reserve stock or arsenal warehouses when the Soviets invaded in December 1979. They were initially used bt the DRAA (Democratic Republic of Afghanistan Army; the communist-era army after 1973) and by second-line units; until sufficient AK-47s (and later, AK-74s) became available. 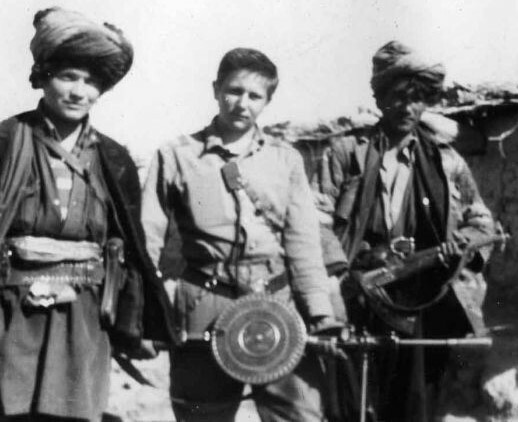 Conversely, the mujahideen also heavily used WWII-era Mosins in the first years of the conflict, and to varying degrees throughout. Some were still in circulation during the 1990s fighting between the Northern Alliance and Taliban. Along with the Enflieds, a number of WWII-era British sidearms were purchased. 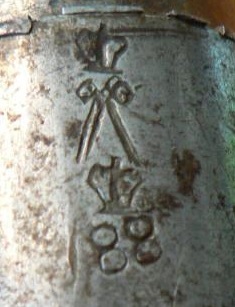 These were typically only issued to officers. The Webleys were replaced in the 1950s and 1960s by Soviet WWII-era TT-33 semi-auto pistols. 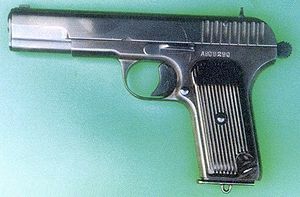 The TT-33 fired the 7.62x25mm Tokarev cartridge and remained the Royal Afghan Army’s frontline handgun for the rest of the pre-communist era. 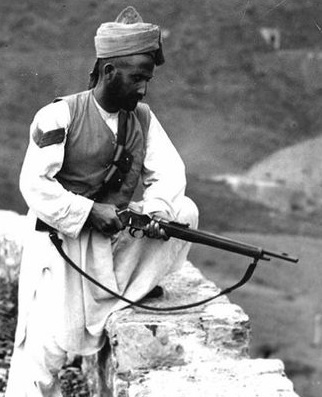 In the mid-1950s, Afghanistan imported a large quantity of WWII-veteran PPSh-41 submachine guns. An icon of the WWII Red Army, this Soviet weapon fired the 7.62x25mm Tokarev cartridge from a seventy-one round drum. It measured only 2’8″ long and 8 lbs, but spit out fire at 900rpm (the entire magazine could be “dumped” in five seconds). 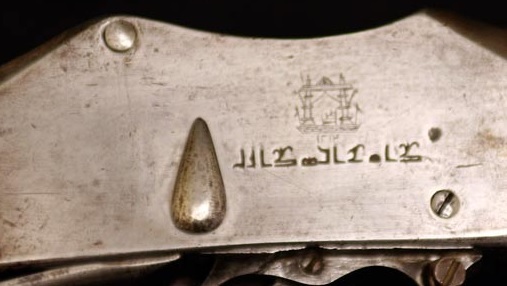 Made largely of tough stamped steel, it required minimal care which was ideal for the Afghans. The PPSh-41 replaced all carbines, and some rifles, in Royal Afghan Army service. The WWII-era PPSh-41 remained in Afghan use well into the 1970s, when the postwar AK-47 replaced both it and the Mosin-Nagant. As with every other type of retired firearm, the mujahideen obtained PPSh-41s via raiding armory warehouses and defections of local militia units. The first “standardized” machine gun was the WWII-era Soviet Degtyaryov DP. 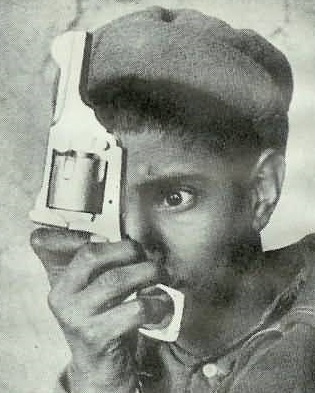 This distinctive-looking LMG fired the 7.62mm(R) cartridge (same as the Mosin-Nagants) from a horizontal forty-seven round pan which sat atop the weapon. Afghanistan purchased these WWII-veteran light machine guns in the mid-1950s. The DP remained the standard LMG into the 1970s when it began to be replaced by the Cold War-era RPK. Some DPs were still in active use past the 1973 revolution, and even when the 1979-1988 war began. 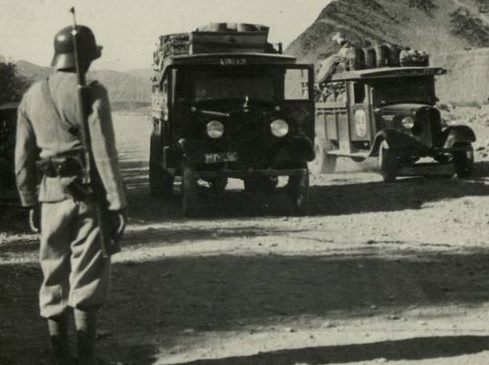 This late-1950s photo gives a great overview of the Royal Afghan Army’s WWII-era equipment of the time. 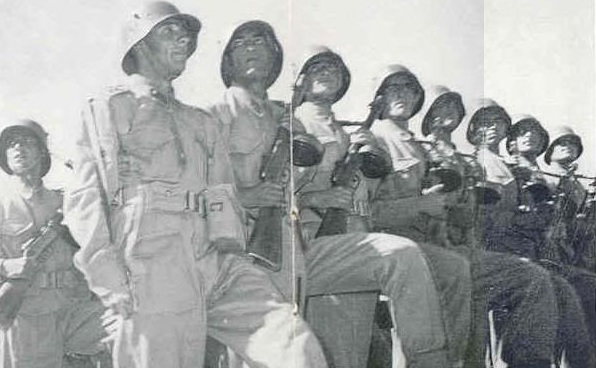 In the front row, the soldier on the left has a WWII Mosin-Nagant M91/30 rifle, to his left a postwar RPG-2 rocket launcher – predecessor of today’s RPG-7, then at center presumably the commander, then a WWII PPSh-41 submachine gun, and finally a WWII DP light machine gun (without it’s pan). The rest of the ranks all have Mosin-Nagants. Headgear is the M18 stahlhelm. 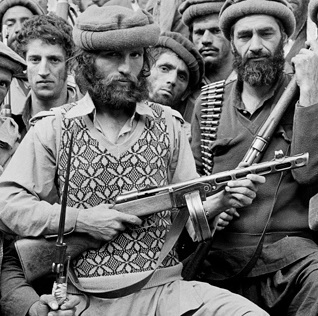 Viewing these sharp-looking soldiers, it’s hard to believe that only forty years into the future, Afghanistan would devolve into the barbarism of the Taliban. Part II of this series will look at the Royal Afghan Army’s uniforms. Part III will examine it’s WWII-era tanks and artillery. The Afghan army during the royal and Soviet period used Soviet M44 Mosin-Nagant 7.62x54Rmm carbines, which were retained as a parade ground rifle as pictured in the Hamid Karzai “mayor of Kabul” photo. The US provided M3A1 .45-cal. SMGs Hungarian AMD-65s, and S&W Sigma pistols among other small arms. yeah, well, that’s what happens when the USA decides that right-wing zealots are easier to control than socialist moderates, and send the CIA and Saudi millionaires to turn the mujahideen into a tool of regime change and misogynist oppression. What the USA did to Afghanistan would be like if the Soviets had armed David Korean and put him in charge of the USA. Not hard to see how it went so bad so quick.